Credit card offers that allow consumers to transfer balances interest free are being scaled back as banks and building societies tighten borrowing rules, a Bank of England survey showed. It found that lenders expected the length of interest-free periods on such transfers to decrease in the coming three months - for the first time since it began recording the data in 2015. They also expect to scale back mortgage availability, affecting borrowers with deposits of less than 25% and in particular home buyers who have saved up less than 10% of a property's value. Banks are reining in lending partly as a result of the gloomy economic outlook, as rising inflation and stuttering wage growth squeezing consumers. Bank of England governor Mark Carney voiced concern last month about increasingly generous terms for zero balance transfers. These allow borrowers to shift debt from one card to another with 0% interest paid on it for a fixed period. Figures published in the Bank's Financial Stability Report in June showed that the maximum period available on these deals had risen to more than 40 months. 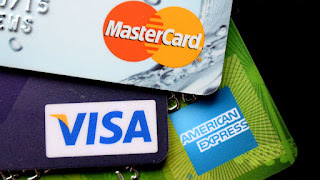 Officials have been worried that consumer credit has been growing much faster than household incomes, leading to fears that some people have taken out borrowing they simply cannot afford. But the Bank's latest findings showed that availability of non-mortgage lending had decreased in the past three months and credit criteria had tightened, with both trends expected to continue in the third quarter of the year. The survey pointed to a "changing appetite for risk" among lenders and a "changing economic outlook also affecting expectations". Last week the Bank of England gave UK lenders a September deadline to show they were adequately protected against consumer credit risks. Howard Archer, chief economic adviser to the EY ITEM Club, said the Bank of England was likely to see the latest data as showing "that lenders are moving in the right direction in their lending to consumers" but that pressure must be maintained to ensure they act responsibly.